50 years ago today, 3 million gallons of crude oil poured from a ruptured offshore oil well, coating 35 miles of the California coastline. The 1969 Santa Barbara oil spill killed thousands of birds and countless marine life. The environmental disaster changed California forever and helped to catalyze the U.S. environmental movement. 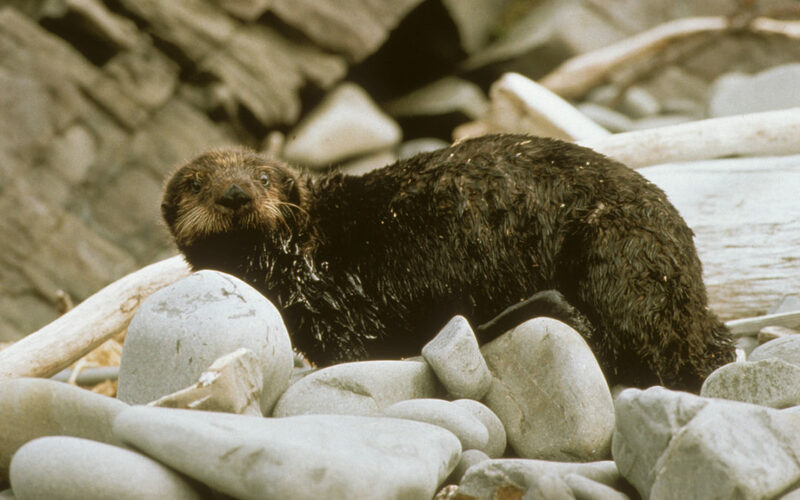 Sea otters are particularly vulnerable to oil contamination because oiling drastically reduces the insulating and water-repellent properties of their fur. Unlike most marine mammals, sea otters don’t have an insulating layer of blubber to keep them warm so they must depend on their exceptionally thick, water-resistant fur to stay warm. Upon exposure, crude oil rapidly penetrates the fur and destroys the air layer that is trapped next to the skin and which provides 70% of the insulating properties of the fur. The loss of thermal insulation can quickly cause the otter to die of hypothermia. In addition to the damaging physical effects of oil contamination, the toxicological effects from ingestion and inhalation can lead to severe, long-term organ damage and other potentially life threatening conditions. As the Santa Barbara and Exxon Valdez disasters made so painfully clear, the single greatest threat to sea otters is an oil spill. One large oil spill off the Central Coast of California could be catastrophic, with the potential of driving the entire southern sea otter population into extinction.